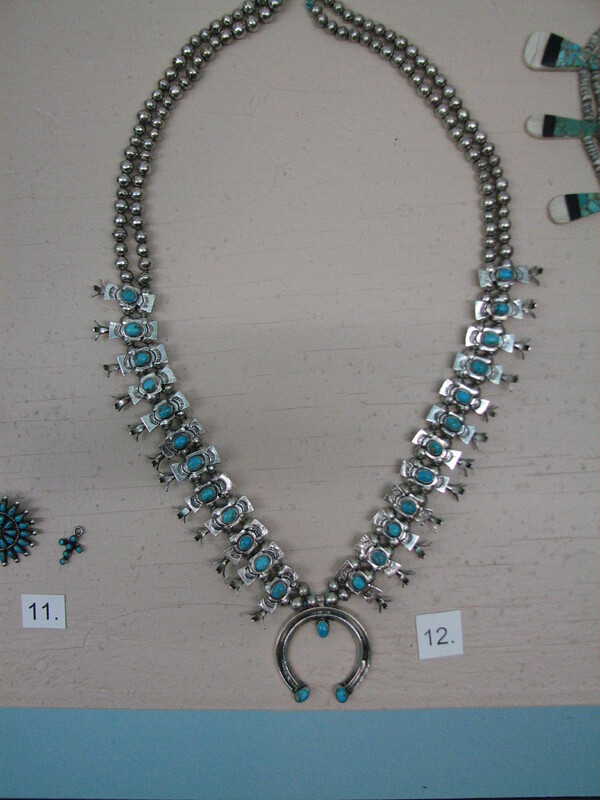 For our final Helbing A-Z post we are sharing our spectacular, hand-made Zuni silver necklace. 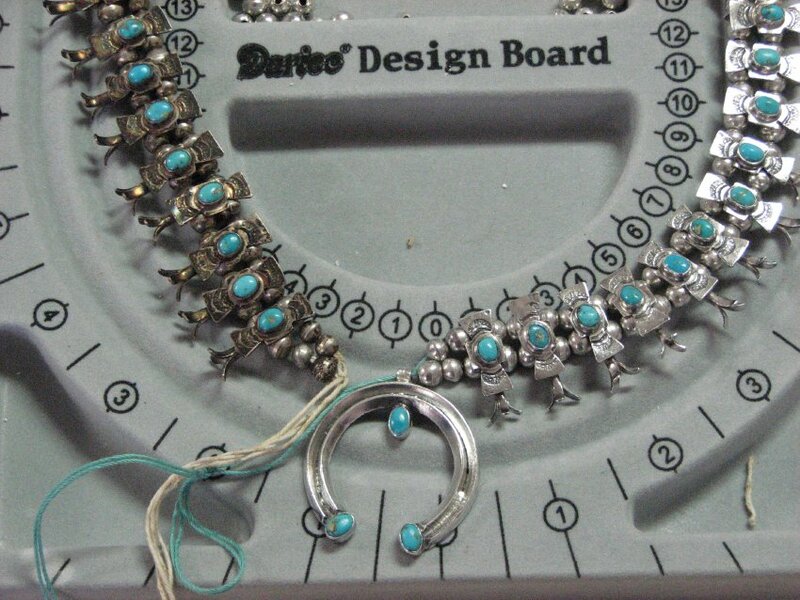 According to my research, one of the most characteristic of Southwest Indian jewelry designs, the squash blossom necklace was not traditional until after the arrival of Europeans, when Navajo silversmiths adopted the crescent-shaped “naja” of the Spanish into their own artwork. 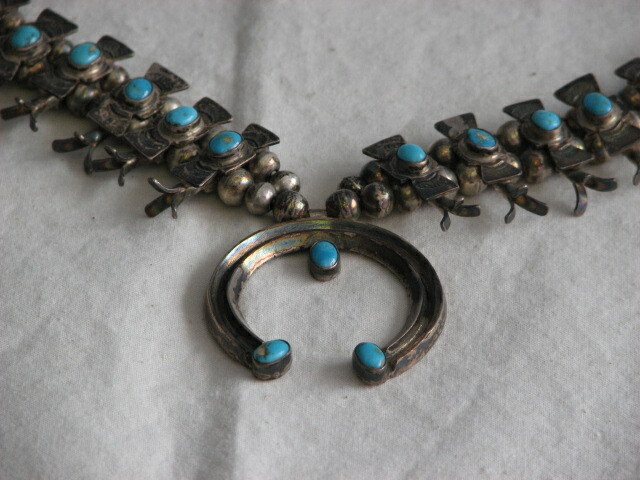 The earliest Navajo squash blossom necklaces were silver only; the now-familiar turquoise inlay patterns were a Zuni innovation in the 19th century. It is unknown where the name “squash blossom necklace” originally came from, since neither the Navajo, Zuni nor other Pueblo Indians use “squash blossom” in their own language. It may have been a mistranslation between English, Spanish, and one of the Southwest Indian languages, or perhaps someone thought the shape of the beads looked like squash blossoms at some point. I had the pleasure of polishing each of the 204 hollow silver beads back in 2008 when we cleaned and re-strung the necklace. 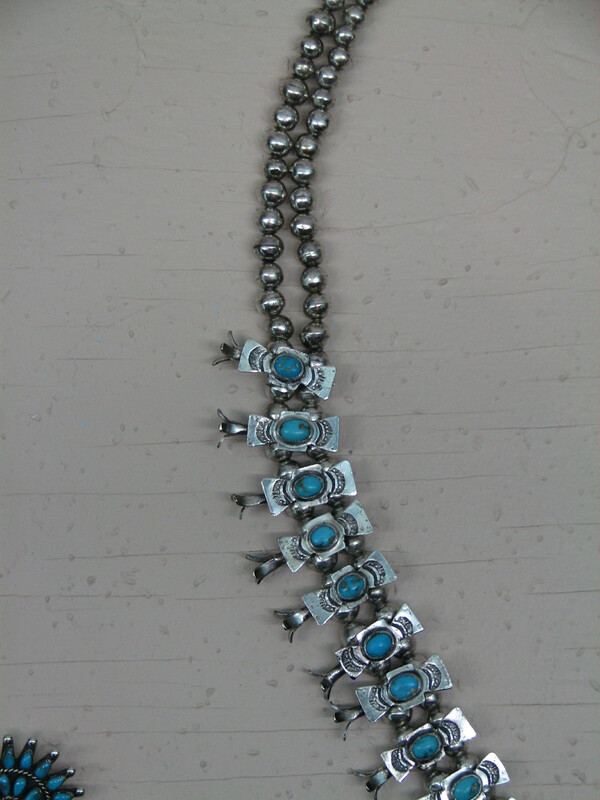 There are 24 squash blossom beads – each with a small turquoise stone and one center squash blossom pendant. Each piece was hand cleaned with a slurry of calcium carbonate, rinsed clean and buffed with a soft cloth. The change was dramatic! 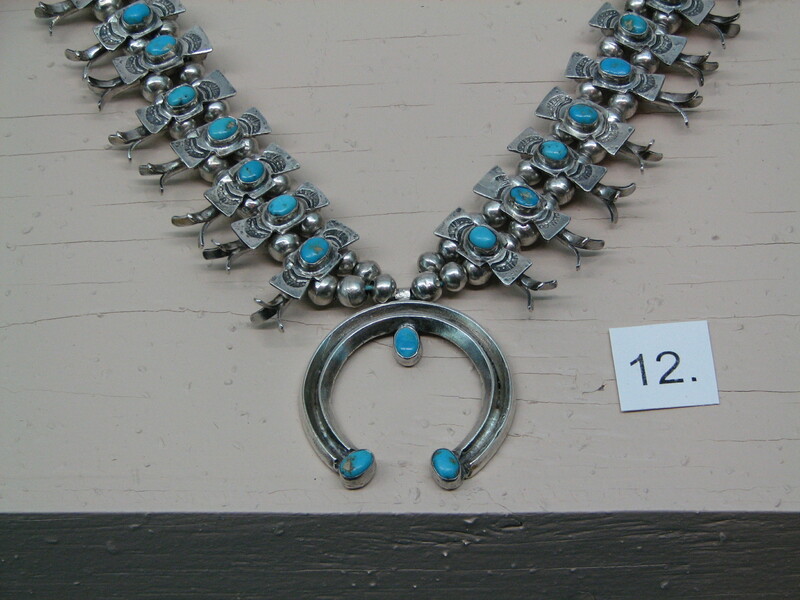 This entry was posted in Collection Notes and tagged A-Z, Cleora Helbing, museum collection, Native American art, silver, Silver jewelry, Squash blossom necklace, Turquoise Jewelry, Zuni, Zuni necklace, Zuni silver. Bookmark the permalink.